Weatherproof horn speaker for voice alarm applications, certified according to EN 54-24, suitable for industrial indoor and outdoor use with high sound pressure level. 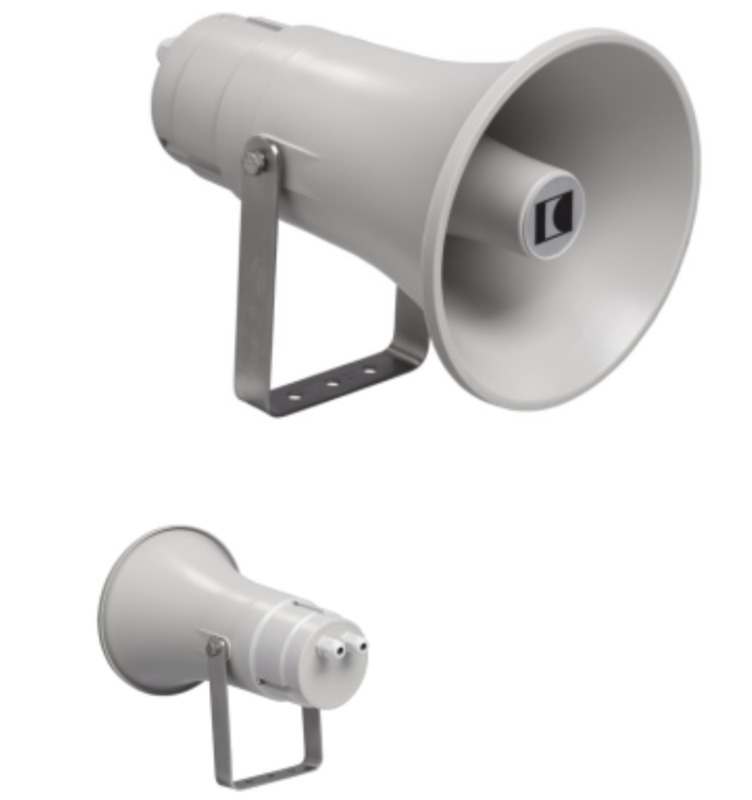 High efficiency horn loudspeaker designed for use in installations of Sound Warning Systems inside and outside buildings. High efficiency and excellent processing of voice messages. 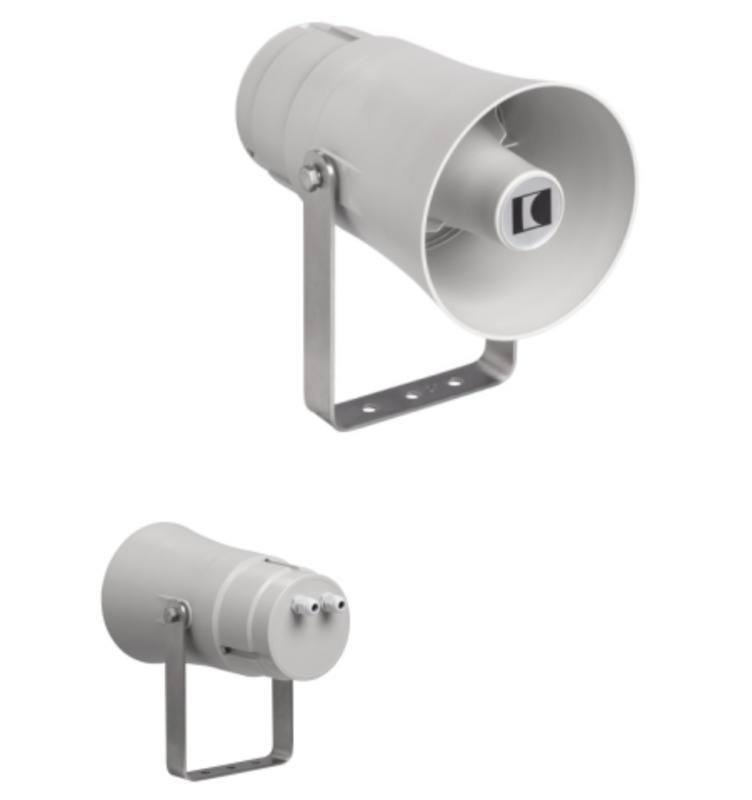 The horn loudspeakers with coupling chamber from the DK 30 PP series through a large bandwidth, combined with high sound pressure have been specially designed for the processing of voice messages or warning alarm signals. These kits are resistant to salty air and to most corrosive substances. Ideal for indoor and outdoor applications. They have IP 66. protection level. Connection module with a 3-pin ceramic block with thermal fuse. 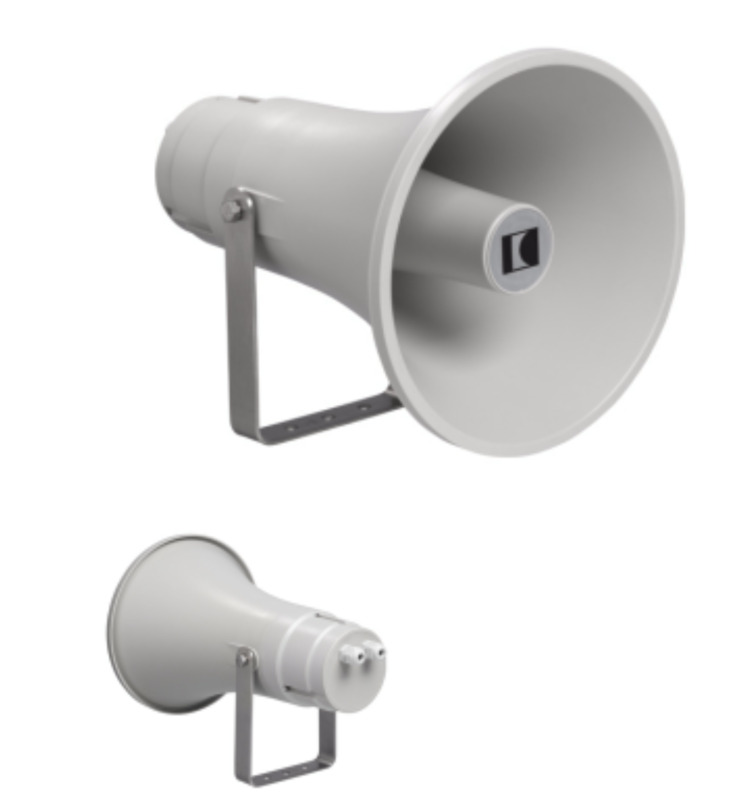 The horn loudspeakers with coupling chamber from the DK 15 PP series through a large bandwidth, combined with high sound pressure have been specially designed for the processing of voice messages or warning alarm signals. These kits are resistant to salty air and to most corrosive substances. Ideal for indoor and outdoor applications. They have IP 66. protection level. Connection module with a 3-pin ceramic block with thermal fuse. 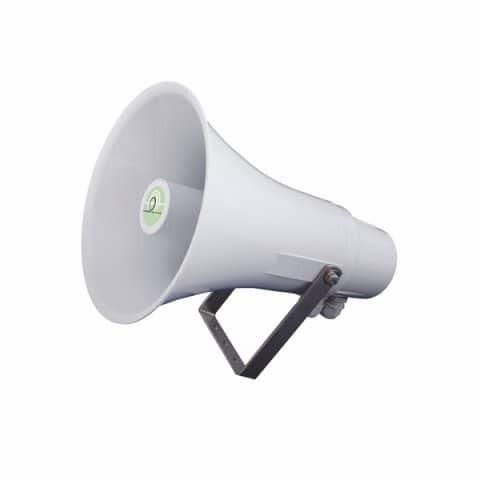 High efficiency horn loudspeaker designed for use in installations of Sound Warning System inside and outside buildings.